3 day Rwanda gorilla tracking tour in Volcanoes National Park. 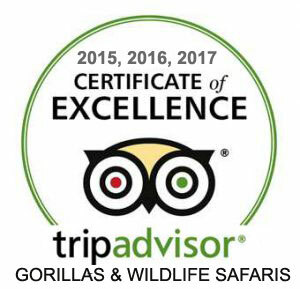 This is a 3 day gorilla tracking safari which starts and ends in Kigali, Rwanda. One gorilla trek permit for Parc Nationale des Volcanoes is included in the cost. Having a chance to see some of the last remaining 880 mountain gorillas in the world is a wonderful experience. It offers you an opportunity to track gorillas in Parc Nationale des Volcanoes in Rwanda. There are 10 habituated gorilla families and tracking most gorilla groups in the afro-montane forest usually takes a few hours. Airport transfer with private vehicle and guide. Transfer to Volcanoes National Park, the home of gorilla tracking activity in Rwanda with private vehicle and driver. Ranging in altitude from 2,400m to 4,507 the Volcanoes National Park (French: Parc National des Volcans) is dominated by the setting of volcanoes after which it is named. Best known to the outside world as the place where for almost 20yrs the American primatologist Dian Fossey under took her pioneering studies of mountain gorilla behaviour. Have breakfast and go to ORTPN offices for briefing, after that set off in the forest for gorilla trekking. Through gaps in the forest canopy, the marvelous peaks are sighted, easily easy to get to and among the uppermost in Africa, indicating an ascent. Gorilla trekking is quite strenuous but a worthwhile on encounter of these gentle giants. The enthusiasm of your coming across with these apes will wipe away your intricacy of the strenuous trek.